Patients may not always be offered the most appropriate single and combination targeted therapies that have been proven effective in clinical trials. Currently available clinical data have practice-changing implications for medical oncologists, dermatologists, and related specialists treating skin malignancies. To stay up to date with the latest data, evidence will be presented related to the role of BRAF inhibition, hedgehog signaling, and immunotherapy in the pathogenesis and treatment of basal cell carcinoma (BCC), melanoma, and Merkel cell cancers. Participants will have the opportunity to consider the potential benefits and side effects, in order to ensure that patients reach or maintain their treatment and quality-of-life goals. Sanjiv Agarwala, MD, is the Chief of Medical Oncology & Hematology at St. Luke’s Cancer Center and Professor of Medicine at Temple University School of Medicine, Philadelphia, PA. Dr. Agarwala is nationally and internationally recognized as an expert in the research and treatment of melanoma and immunotherapy of cancer and has presented and led numerous conferences and meetings across the globe. Dr. Agarwala received his undergraduate education and medical degree from Bombay University. He completed his medical training through residencies and fellowships at the University of Bombay in India, Otago University in New Zealand, and the University of Pittsburgh in Pennsylvania. Dr. Agarwala has written and contributed to more than 200 publications and book chapters on melanoma, immune-oncology, and other research areas. 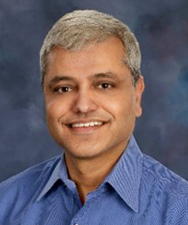 He is board-certified in oncology, hematology, and internal medicine, as well as an active member of several professional and scientific societies, such as the American Association for Cancer Research, the American Society of Clinical Oncology, the European Society of Medical Oncology, and the Society for Melanoma Research. Dr. Agarwala has been Principal Investigator for multiple clinical trials involving immunotherapy and targeted therapy for melanoma, head & neck and renal cancers, and other malignancies. As a result of his dedication to melanoma and immunotherapy research, Dr. Agarwala has received several honors, including listings as one of America’s top doctors for cancer and best doctors in the United States. The Potomac Center for Medical Education designates this enduring activity for a maximum of 1.25 AMA PRA Category 1 Credits TM. Physicians should claim only the credits commensurate with the extent of their participation in the activity. The maximum number of hours awarded for this Continuing Nursing Education activity is 1.1 contact hours. Designated for 0.9 contact hours of pharmacotherapy credit for Advance Practice Registered Nurses. There is no fee for this activity. To receive credit, participants must take the pre-test, view this CME/CE activity in its entirety, and then complete the post-test, with a score of 75% or better, and evaluation. The estimated time for completion of this activity is 1.25 hours. To receive their certificates, participants must demonstrate mastery of the presented material via the post-test. Participant is allowed to take the post-test multiple times.